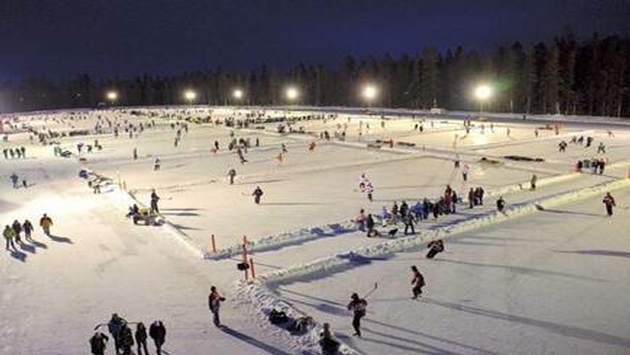 Canada’s New Brunswick will host the 13th annual World Pond Hockey Championship Feb. 13 to 16. It will take place in the hamlet of Plaster Rock, population 1,200, and is expected to attract 120 teams and 8,000 hockey fans. The four-on-four play – there are no goaltenders – will be set in 20 rinks with 40 teams playing simultaneously. All Canadian provinces except one will participate. The championship is a fund-raising event for the town’s Tobique-Plex recreation center, which opened in 2007.